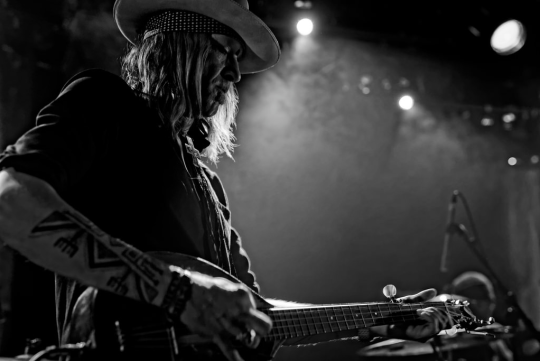 Wovenhand have announced tour dates in Europe, listed below. More dates to be announced soon. The Nordic countries would love to host the band! I'm very happy to see Wovenhand and David i'm a absolutly fan since 16Horsepower !!! I dream !! I go Nimes !!! I'm very happy to see Wovenhand and David i'm a absolutly fan since 16Horsepower !!! I dream !! I go Nimes !!! david, which 2 songs on the new album did Chuck co write?? also, what do you think of Jehovah Witnesses???? thx!!!! Please, please come to Scandinavia! &lt;3 I've had the pleasure of seeing 16 horsepower once in NY, and Wovenhand three times in Scandinavia. And I'll never get enough! Please come! I've had the pleasure of seeing 16 horsepower once in NY, and Wovenhand three times in Scandinavia. And I'll never get enough! we do have a nice club in Turku that is in desperate need of your visit.